LANC controller allows you to wired remote control the camera. With a little DIY, you can create your own LANC controller using the remote control comes with your camera. 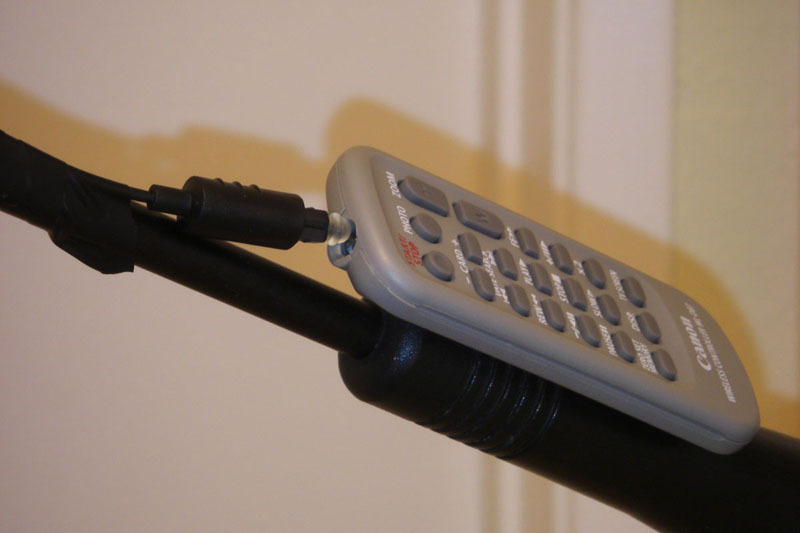 I read some posts about using a TOSLink optical cable to "route" the remote control signal to the front of the camera. 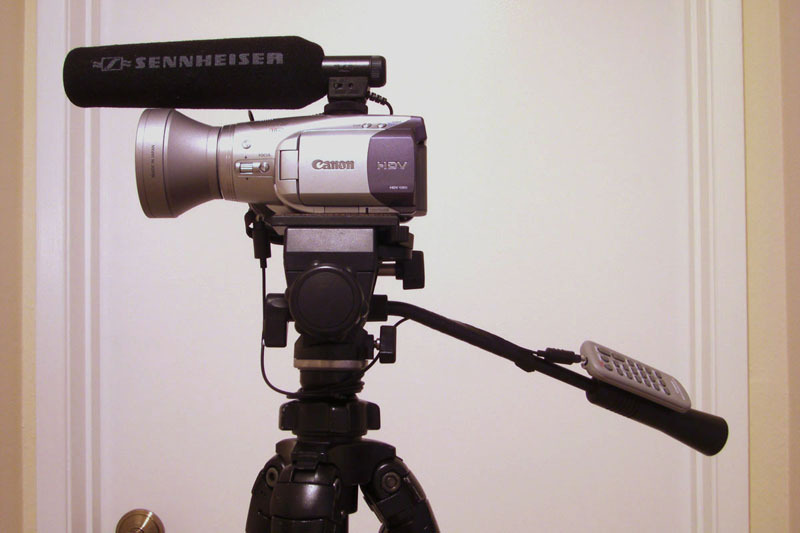 Since most consumer camcorders do not have a LANC port. With a little DIY, you can fake one easily. 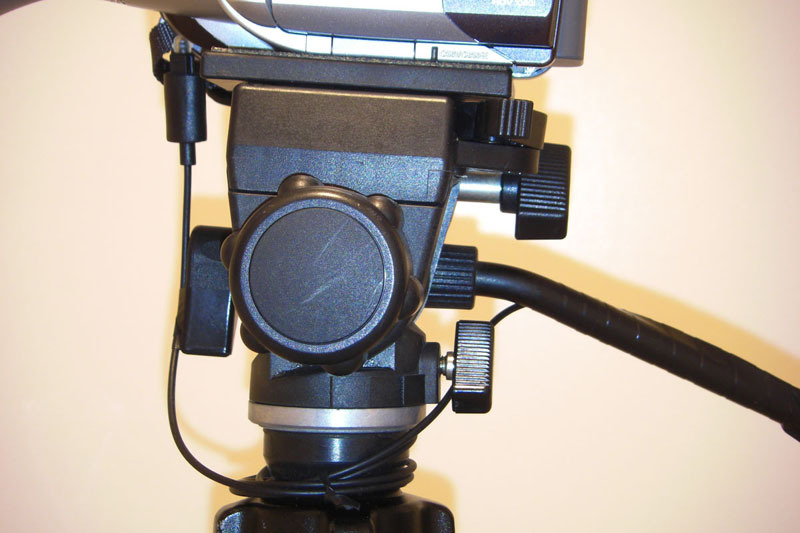 I ordered a 3" TOSlink cable for $2.5, mounted the remote control to the tripod handle, wired the cable around the center pole, taped the other end to the front of the tripod. IT WORKS!!!! See the discussion of this hack. Posted by Scott on 10/11/2009 7:51:00 PM What kind of tripod and head is that? Replied by LA Color Pros It is a SLIK tripod. Don't remember the model number. I would not recommend such tripod for HV30. 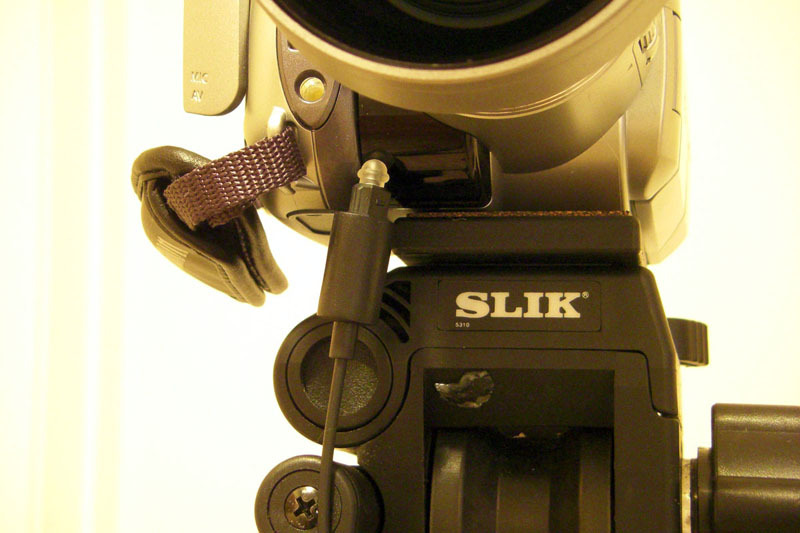 The quick release plate blocks the battery release tab of the camera. Posted by simon craggs on 8/2/2010 8:32:00 PM Whats a TOSlink cable? Could you link to one on Amazon for me please???? Sounds like an awesome (cheap) workaround!! Replied by LA Color Pros TOSlink cable is also called Optical Cable. Just google or search it in amazon. There're plenty for sale. Posted by Marty Merritt on 9/8/2010 2:35:00 AM Just what I was looking for. Thanks for posting. How did you mount the remote to the handle? Replied by LA Color Pros You can use either cable ties or foam double sided tape. Replied by LA Color Pros For best result, it's best to have them just an inch away. mirror.At that time,optical fiber cables were not available.But thanks for the great tip.